Play the slots, roulette, a variety of card games and see what you could win! Casino entry can also include your own guide for the evening to give you tips and show you all the rules of the game. Start you stag, hen or group night out with a real rush. Play the slots, roulette a variety of card games and see what you could win! Casino entry can also include your own guide for the evening to give you tips and show you all the rules of the game. We can also organise on request inclusive drinks, some chips to get you going and even an evening meal. Why not make a night of it and let us book you a restaurant and VIP entrance into a local night club? 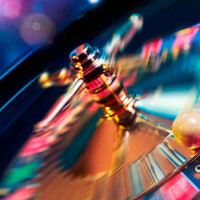 Casino and night club packages are available in many different locations, so wherever you want to go this could be part of your activity package.